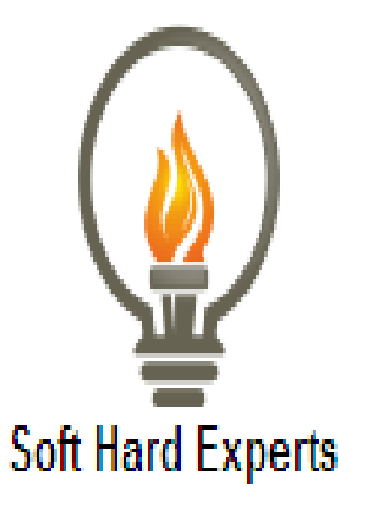 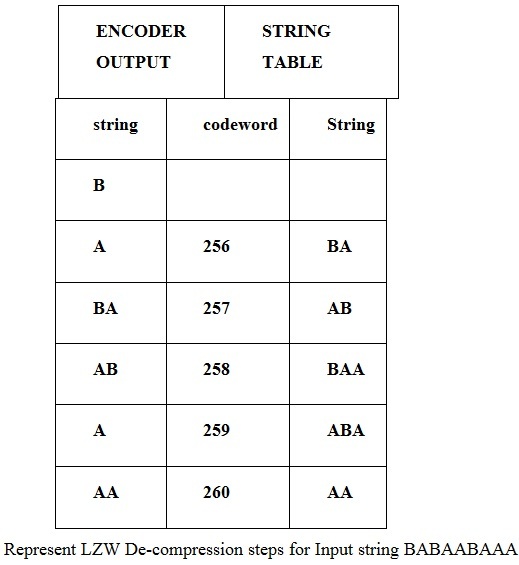 In this technique trick is that string-to-codeword mapping is created dynamically by the encoder also recreated dynamically by the decoder need not pass the code table between the two is a lossless compression algorithm degree of compression hard to predict depends on data, but gets better as codeword table contains more strings. 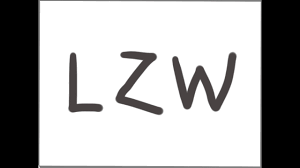 Represent LZW compression steps for Input string BABAABAAA. 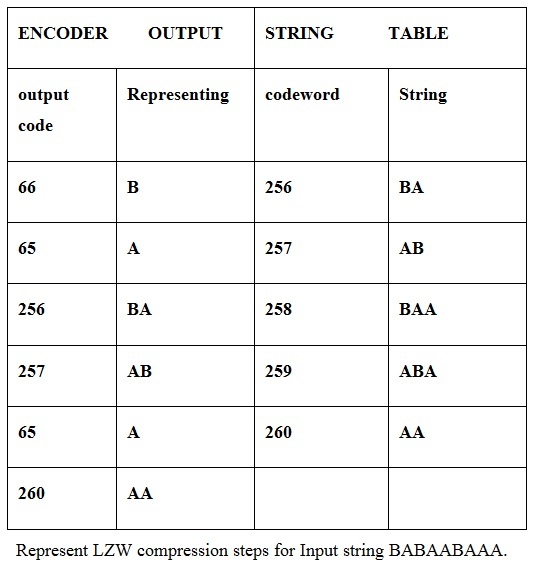 Represent LZW De-compression steps for Input string BABAABAAA.